Please share your memories with us! We love candid photos and videos. We know many of you will be taking some during our special day. We hope you will share them with us! Please help us make our wedding video! 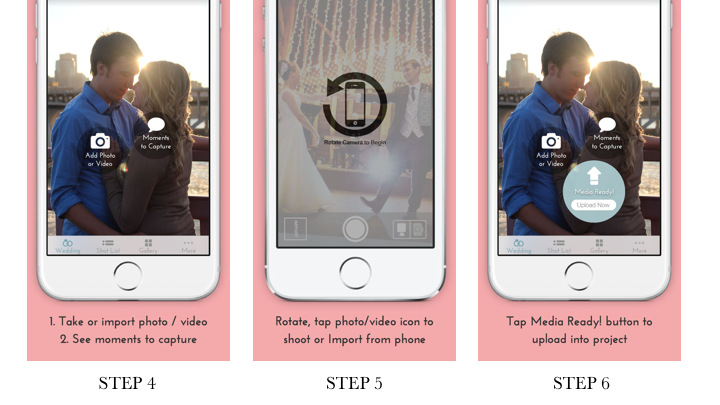 Help us capture our wedding story with WeddingMix by using your iOS or Android device to take some videos and photos. Everything shared will be available to us to create a custom, professionally edited video. We're so glad that you're here to share our special day and we can't wait to show you the video when it's ready. 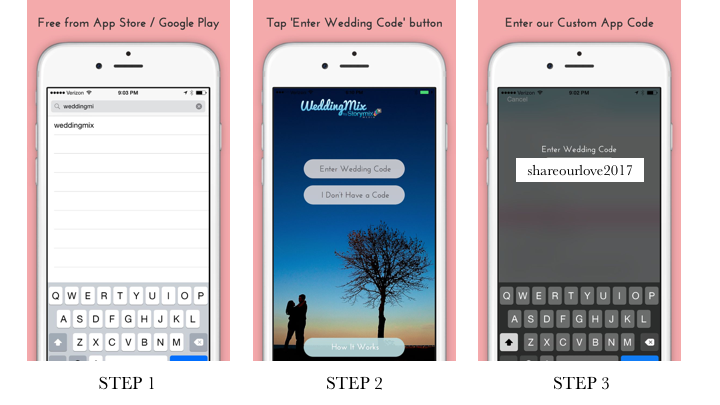 Below are screenshots of the easy to use app to help you get started.